Tuition Payment. Contact Brent’s Accounting Office for the exact billing of school fees. Phone number: +63 (49) 513-4350. Email: billingsection@brent.edu.ph Accepted students join classes when school fees have been paid. Open House / Orientation / First Day of Class. Admissions will share with new families these important dates and times. The Early Learning Center (ELC) is for students in Nursery through grade 2. The Lower School (LS) is grades 3 through 5. The Middle School (MS) is grades 6 through 8. The Upper School (US) is grades 9 through 12. Materials. Students generally arrive to school on the first day of classes with a backpack and a lunchbox. The backpack might start empty, and the lunchbox is helpful if the ID is not ready or not yet loaded by the family. On the first day of classes students are given paper, notebooks, textbooks, pencils, etc. A First Day Packet of information is given to students for parents to review. Various forms are signed and returned the following day. Uniforms. Proceed to Brent’s Tailor Shop (Basement, next to the ATM machines) to select school uniforms. PE uniforms are needed for grades 10 and below; Sports shoes / trainers are for PE classes only. Payments are made at the Cashier in the same area. You may call Brent’s trunk line and ask to be transferred to the desired area; (049) 513-4330 to 4333, +63 (49) 544-5100 to 5101, +63 (2) 779-5140 to 5146. The Tailor Shop is extension 414. The Cashier is extension 553. Transportation. Register for Brent’s school bus service at the Transportation Office (Administration Office, next to the pool). This is an optional service, with a fee. Nursery and Pre-Kindergarten students are bussed only as far as Alabang, after 11:20 am. Transportation phone number: +63 (49) 513-4354. Email: transportation@brent.edu.ph. Car Pass. Car Pass applications can also be obtained from the Reception Desk (Administration Office, next to the pool). Provide a photocopy of Official Receipt (O.R. ), Certificate of Registration (C.R. ), and driver’s license. The processing fee is 175 pesos. ID for Adults. Adults must wear their Brent ID when on campus. ID applications for parents, drivers, and caregivers can be obtained from the Reception Desk (Administration Office, next to the pool). Bring an ID photo (1×1; preferably white background) and a processing fee of 100 pesos per ID. Students are given their ID generally on the first day of classes since a photo was submitted with the application documents. ID for Students. Student ID cards use the POS debit system. A minimum of 500 pesos can be loaded to the student’s account to purchase items in the Cafeteria and Spirit Shop. All purchases are charged to their pre-loaded account each time the student presents their ID. Please talk to your child/ren about appropriate choices in the cafeteria. Accounts can be loaded in the Cafeteria, at the Cashier, or at the Spirit Shop. Students also use their ID cards to check out books at the library. Late start Thursdays. Classes begin on Thursday at 8:40 am instead of the regular 8:00 am start. Brent’s busses have later pick-up times on Thursdays—see the Transportation page issued by their office for details. Nursery and Pre-Kindergarten. Students in Nursery and Pre-Kindergarten attend classes from 8:00 am to 11:20 am. The exception is Thursday when classes begin at 8:40 am and end at 11:20 am. Families send a healthy snack with children for the snack recess time, and they are home for lunch. Children are allowed to eat on the bus. Pre-Kindergarten is sometimes referred to as Pre-K as well as PK. Nursery is sometimes written simply as N.
Corporate Text Messages/Emergency Protocol. If you would like to receive a Corporate Text Message from Brent please sign and return the form given to students on the first day of classes. If school is cancelled a Corporate Text Message is sent to parents who signed up. School is cancelled in the event of severe weather, and/or flooding in areas where Brent busses pass through. School cancellations are most often announced early in the morning on the day it is cancelled. Brent’s Website. 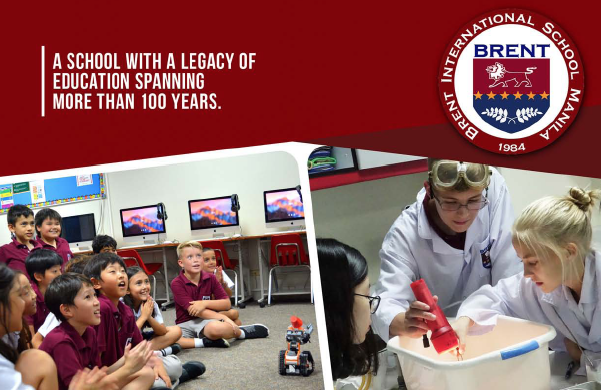 Brent’s Website should be visited regularly throughout the school year. Helpful information like the school calendar, weekly newsletters from the Principals, Student-Parent Handbook, Cafeteria menus, and general information about the school can be found there. Students and parents are encouraged to check grades in BASIS. After School Activities A pamphlet will be sent home a few weeks after classes start that includes the clubs and activities available and the directions for how to sign up.